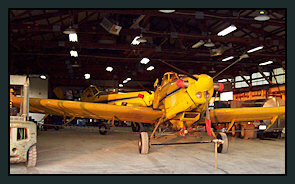 Schertz Aerial Service, Inc. is a central Illinois based retail aerial application operation. It has been in continuous operation since it was founded by Robert Schertz in 1969. It was reformed in 1986 and since then has been operated by Scott Schertz. Scott has over 10,000 hours flying as an agricultural pilot. Scott graduated from SIUC with Aviation and Ag business concentration, from ISU with a MBA, and is a Kellogg Alumni from its post MBA program. Scott has served on a variety of different agricultural trade association boards. In 2005 he served as the president of the NAAA and served on the Board of Directors from 1996 to 2010 and as the president of the National Agricultural Aviation Research & Educational Foundation (NAAREF) in 2007-2008. Scott served on the Board of Directors for the Illinois Fertilizer & Chemical Association (IFCA) for 8 years ending in 2010. Currently, Schertz Aerial Service, Inc. is a member of CropLife America (CLA). Scott serves on CLA’s Strategic Oversight Committee (SOC) concerning crop protection product regulatory issues. Schertz Aerial Service, Inc. is also a member of the Agricultural Retailers Association (ARA). Scott serves as a current member of the US EPA’s Federal Advisory Committee on Pesticide Policy; the Pesticide Program Dialogue Committee (PPDC). We strive to operate in an efficient and respectful manner for our customers’ benefit and their neighbors. There are two main locations for Schertz Aerial Service, Inc.; one near Hudson, Illinois and the other near Cooksville, Illinois. 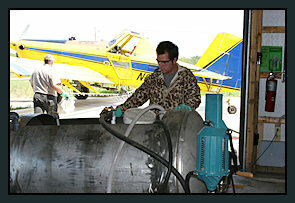 Both main locations are full retail locations with facilities to service aircraft operations. Schertz Aerial Service, Inc. supplies a complete line of crop protection products through its two locations, which are controlled through the Lexington facility.